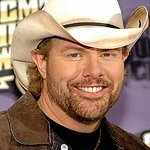 Country singer Toby Keith will perform for charity at this weekend’s Academy of Country Music Awards. The singer will perform a special song he wrote for a friend – singer and NBA star Wayman Tisdale – he lost to cancer. The performance of "Cryin’ For Me (Wayman’s Song) will be available on iTunes, with proceeds going to Stand Up To Cancer (SU2C). This is the second time ACM Lifting Lives – the philanthropic arm of the Academy of Country Music – has donated downloads from an Awards performance to charity. Trace Adkins's rendition of “Til the Last Shot’s Fired” at last year’s event raised over $100,000 for the Wounded Warrior Project. The Awards take place on Sunday, April 18, at the MGM Grand in Las Vegas.